Nisa commenced her legal practice with Messrs Shook Lin & Bok, one of the largest and most establised law firms in Malaysia as a legal assistant where she specialised in corporate commercial; banking; and real estate matters. Known for her steely determination, Nisa’s areas of expertise aligns well with her passion in helping people grow sustainable businesses. 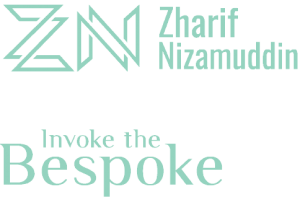 Her experience includes, among others, conducting a due diligence and commercial exercise in relation to the issuance of a Sukuk Musyarakah Programme of up to RM15 Billion; providing advisory services in relation to the granting of Bai Istisna’ Facilities to Malaysian private companies; and taking on key roles in other notable mergers and acquisitions transactions. Nisa also represented various corporate clients in completing their commercial real estate transactions. As a doting mother of two, Nisa definitely has her hands full but is a firm believer that hard work and resilience are the formula for success. She is also a certified percussionist having had the privilege of performing at an esteemed musical hall in London. Nisa was admitted as an Advocate & Solicitor in the High Court of Malaya in 2010. She holds a Bachelor of Legal Studies (Hons) and a Bachelor of Laws (Hons) from Universiti Teknologi MARA.